Had two emails re this. Will have a look. 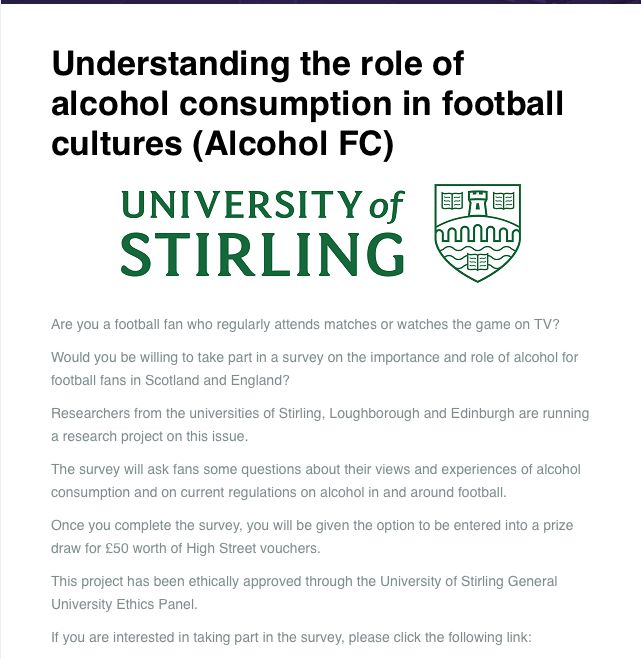 Alcohol at football?. How terribly out of touch are the people at Stirling Uni?. I'm sure I read somewhere that it's all about Cocaine on the terraces!.